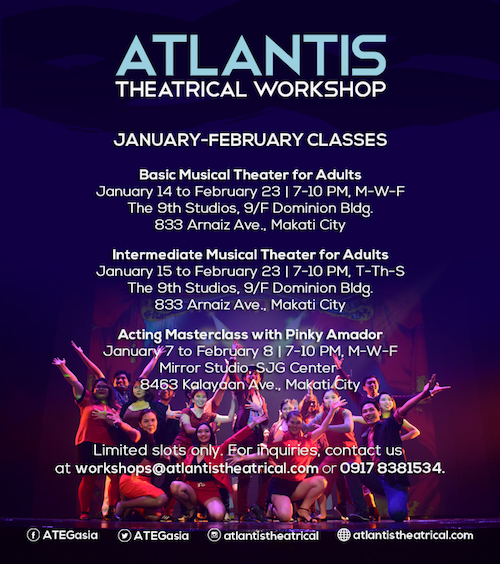 The Atlantis Theatrical Entertainment Group is conducting Basic and Intermediate Musical Theater workshops as well as an acting masterclass as part of its 20th year celebration. Basic and Intermediate Musical Theater workshops for adults will run from January 14 to February 23, 2019. The Basic Musical Theater workshop will introduce students to the rudiments of singing, acting, and dancing for theater. As an introductory course, it aims to instill in its students a broader understanding of how to use their bodies and voices in performance along with exploratory activities on character work and script analysis. 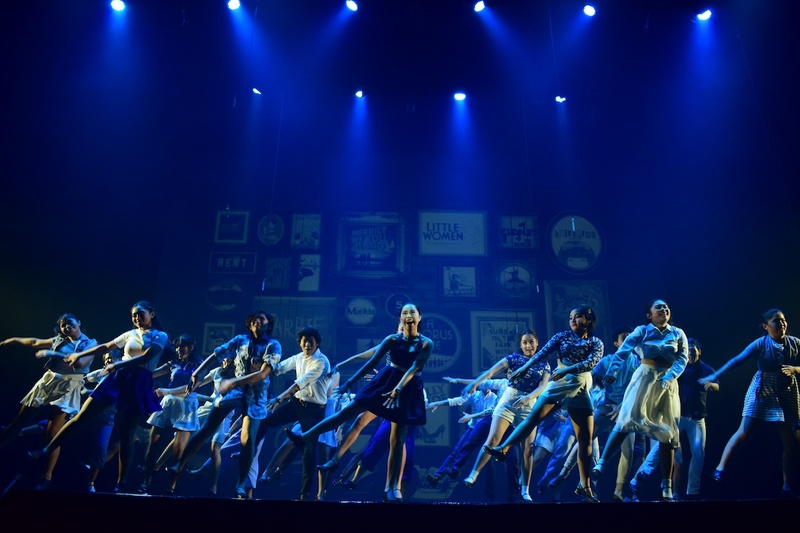 The Basic track also features Jazz dance classes for students who wish to strengthen and hone their skills in stage movement. The class will be facilitated by theater actor and director Steven Conde and thespian Sarah Facuri. Classes will be held every M-W-F from 7 to 10pm at The 9th Studios, Dominion Bldg., Arnaiz Ave., Makati City. The Intermediate Workshop, on the other hand, focuses on the journey of the song. It caters to students who already have prior experience with theatrical performance and aims to lead them in discovering how to dissect their music and lyrics, enabling them to strengthen their performance and start developing ways of deepening their understanding of theatrical text. The class also features an introductory course in tap dance led by Atlantis’ choreographer extraordinaire Cecile Martinez. Through this course, Atlantis aims to raise and to bring out even more triple threats prepared to face a professional career in the bigger world of the stage. 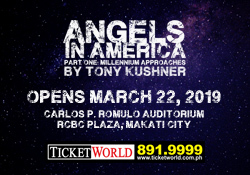 The class will be facilitated by theater actress and director Cris Villonco and thespian Nelsito Gomez. Admission to the class will be determined via a video audition process or teacher’s recommendation. Classes will be held every T-Th-S from 7 to 10pm at The 9th Studios, Dominion Bldg., Arnaiz Ave., Makati City. Acting stalwart and pedagogue Pinky Amador will also lead a masterclass in acting from January 7 to February 8, 2019. This class aims to immerse young professional actors in exhaustive text work, character development and scene studies. It will also provide students with a deeper understanding of vocal control and physical preparation for performance. The class is designed to take one’s performance to the next level, empowering the students to take on even greater challenges as professional theatre actors. At the end of the course, students will receive a professionally shot demo reel that they can include in their portfolio. Admission to the class will be determined via a video audition process. Classes will be held every M-W-F from 7 to 10pm at Mirror Studio, SJG Center, Kalayaan Ave., Makati City. Individuals aged 18 and up are eligible to apply. For enrollment inquiries and application guidelines, contact Atlantis at workshops@atlantistheatrical.com or at 0917 8381534.